"Coming soon" - it should be the motto of 4K Ultra HD. 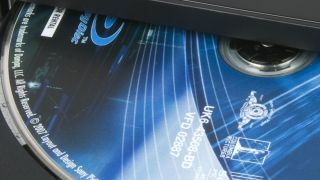 Just three months after the Blu-ray Disc Association forecast a December launch of 4K Ultra HD Blu-ray discs, Sony has officially declared that the format won't be home for the holidays. It's unfortunate given that this will be the Black Friday that 4K TVs finally see an affordable price tag, but the situation does have some silver lining. Sony says that when the format does hit shelves in early 2016 you can expect both High Dynamic Range (HDR) support as well as support for object-based audio like Dolby Atmos and DTS:X surround sound. The Amazing Spider-Man 2, Salt, Hancock, Chappie, Pineapple Express and The Smurfs 2 are the first films the company plans on releasing in UHD, followed by some remastered versions of classic films like Ghostbusters and The Fifth Element. One guess for the delay is to better align the launch with the arrival of Sony's 4K Blu-ray players, a smart move if Sony wants to have its cake and eat it, too. Other titles in Sony's 4K back-catalog include Fury, Captain Phillips, Crouching Tiger, Hidden Dragon, Men In Black, Bad Boys, The Da Vinci Code, Bram Stoker's Dracula, Leon: The Professional, Lawrence Of Arabia, The Bridge on the River Kwai, The Guns of Navarone, Taxi Driver and Mr. Smith Goes to Washington, though the firm hasn't made an announcement when we can expect a high-end disc of these films in the future. Looking for a 4K streaming video player? Check out the Roku 4!